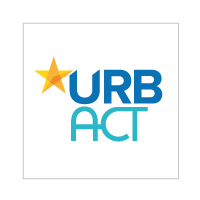 Following the deadline last week for the submission of applications from cities labelled earlier this year Good Practices wishing to lead URBACT Transfer Networks, the URBACT Secretariat along with a team of external experts are now reviewing the proposals. A total of 44 applications were received from 17 different member states around Europe. Spain is leading the way with 10 applications submitted, followed by Italy (6), Germany and Portugal (both 4). Other member states with more than one proposal include Portugal, France, Sweden, United Kingdom, Netherlands and Hungary. From a thematic perspective more than a third of the proposals are addressing social inclusion as a theme, covering topics such as migrants, affordable housing and volunteering. Most interestingly, more than one quarter of the proposals are focusing on environmental issues which as a topic is generally under-represented in URBACT. Fewer proposals were received on employment and education. The URBACT Monitoring Committee will make a decision based on the assessment of the external experts on 4th April 2018. Well done to all those that submitted and good luck!